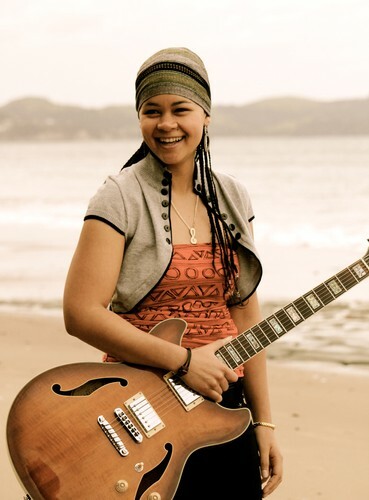 Singer songwriter and guitarist Andrea Lisa and her band are back in New Zealand after nearly two years of performing overseas. During this time the Brisbane based quartet have been spreading their soulful sounds around Europe, Dubai and Australia. One of the highlights during their travels was having the privilege of performing in France in the late Picasso's home, with the legendary flute and vocalist Thijs Van Leer from the prog rock group Focus. New Zealand School of Music Graduate Andrea Lisa and her band will be presenting at CJC a showcase of her compositions, both vocal and instrumental. Andrea's writing style covers a diverse range of styles that blend Jazz, Soul, Funk, RnB and Fusion, the sets will include some songs from her debut EP ‘So Sweet’ which was recorded in 2011, co-produced by Alan Brown. The band includes multi-instrumentalist Alex Churchill on Saxes, Flute and Keyboard, Nicholas Taylor on Bass and Lenny Church on Drums. CJC Creative Jazz Club Aotearoa. Door sales will be available unless sold out prior.